Hey, I'm a girl and my friend and I would like to enter a club in Alabama. But i have heard a lot of bad things about clubs, yet we would like to join one. Do you know any good ones? I'm sorry that you have heard bad things about some clubs in general. My experience, has been nothing but positive, at least with Mustang clubs. I haven't had any experience with groups in Alabama, so I can't comment on which one or ones are the best, but I'll pass on some general information that you may want to check out for Mustang Associations and Clubs in Alabama. You didn't mention where, in Alabama you live, so I'll give you some club info for different areas. The MCOA is one of the granddaddy's of Mustang clubs. It was founded in 1976 and was originally involved in and devoted to restoration and preservation of 1964 1/2 to 1973 Mustangs. 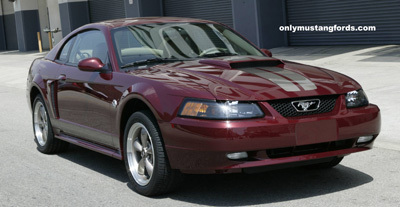 Then in the mid 1980's it was expanded to include all years of the Ford Mustang. This group, has over 170 local chapters, throughout the United States, Canada and other parts of the world. If you don't find a Ford Mustang organization, near you, there's also the possibility of joining a Ford Car Club, which will also have a number of Mustang owners. Typically, these pony car clubs include regular meetings, shows and other events and usually have various charity fundraising events for local area organizations. It's a great way to meet like minded individuals, learn about your Ford Mustang, find hard to get parts, and make some great new friends! Check them out. I'm sure that you'll find a great match for you and your friend.